NEW YORK -- The Fiat-Chrysler alliance is holding in-depth talks with its Russian partner, Sollers, to build Jeeps in Russia. “We've had a number of detailed conversations on it,” Jeep brand CEO Michael Manley told Automotive News at the New York auto show. In February, Fiat S.p.A. moved to expand its existing joint venture with Sollers to build as many as 500,000 vehicles annually in Russia. At the time, a Sollers executive said the alliance could build 150,000 Jeeps annually, but Chrysler Group declined to comment, saying any question related to the Russian joint venture should be addressed to Fiat. A Fiat spokesman in Turin, Italy, said at the time that no volumes per model and brand had been confirmed. The spokesman confirmed, though, that the joint venture planned to build nine models, of which four will be SUVs. Fiat has no SUVs in its lineup. Sollers currently builds the Fiat Albea subcompact sedan and the Ducato van. The other Fiat models that Sollers sells are imported, not built in Russia. Sources said the partnership could begin assembling the current Patriot, Liberty, Wrangler and Grand Cherokee from completely knocked down kits this year. But the goal would be full local assembly. Manley said the Sollers venture gives Jeep the opportunity to build vehicles in Russia. He added that the Jeep brand would fit Russian tastes and road conditions. 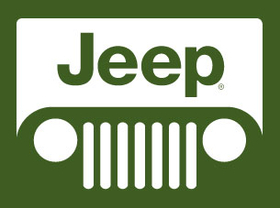 The expansion of the Jeep brand in Russia is part of Chrysler' plan to double Jeep sales worldwide sales from a planned 400,000 units this year to more than 800,000 in 2014, as well as to increase Chrysler Group's sales outside the United States from 200,000 this year to 500,000 in 2014.